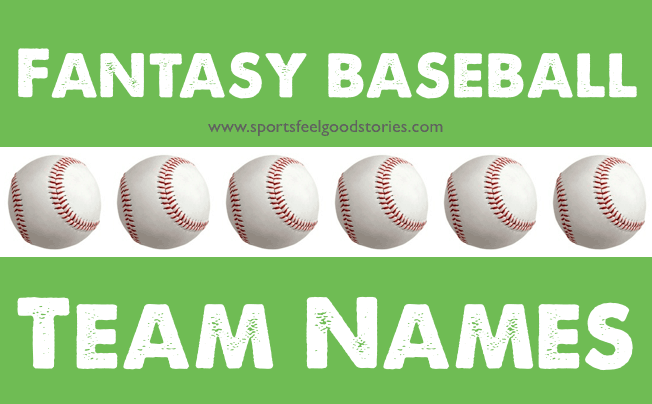 Are you looking for some fantasy baseball team names? Well, step into our batter’s box and see if you’d like to take a swing at one of the names in our collection. Are you a players’ coach? Or, do you manage by the numbers? It doesn’t matter. What does count is if your name is cool. Come to your fantasy baseball draft with one of these gems and your half-way there. Well, at least you’re not riding the pine. Good luck. Hold Me Closer, Tiny Dansby. 99 problems, Pitch Ain’t One. My Uzi weighs a Hamilton. You Make Me Wanna Trout. Stuck in the Middle With Yu. Two Wong’s Don’t Make a Wright. Check out our Fantasy Baseball Rankings for 2019. Here’s My Number, Cameron Maybin. Now you Seager, Now You Don’t. The Pen Is Mightier Than the Schwarber. So, we’re addressing good fantasy baseball names, but baseball is also rich in great individual player names. Check out the Bro Bible’s list of the 40 greatest names in MLB history. Cespedes for the Rest of Us. Carry on My Heyward Son. The Curtain Call Never Came. 50 Shades of Sonny Gray. A Puig Of Their Own. Extra Bases with Happy Faces. To Kill a Marlon Byrd.